Ever wonder what your peanut-butter sandwich is doing while you're not looking? 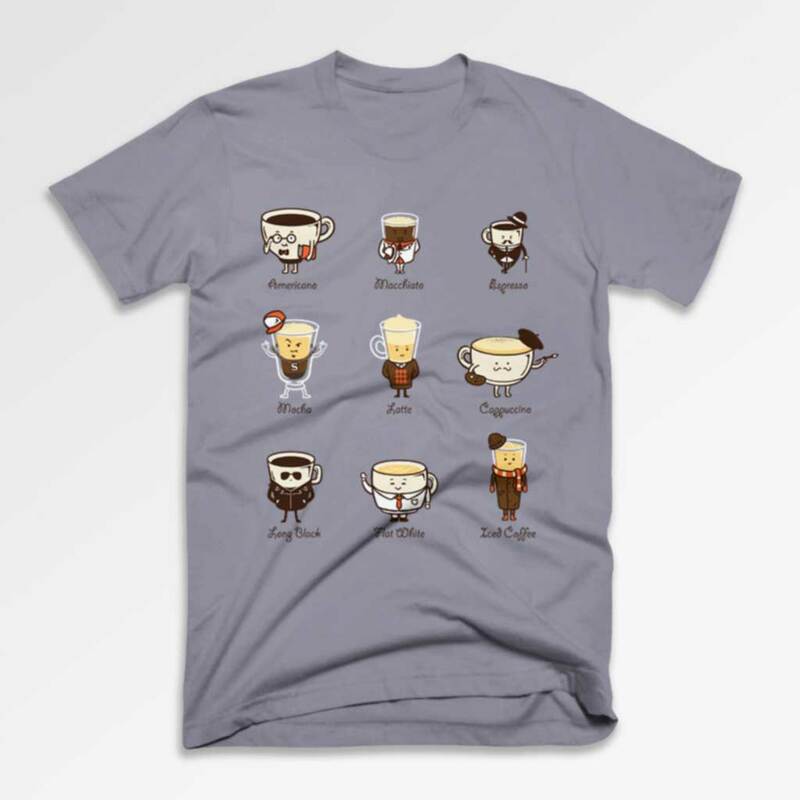 Malaysian T-shirt designer Flying Mouse has a series of illustrations and shirts depicting the daily life of all your favorite foods. Of course, while the artist describes his series as "foods and drinks living their ordinary days," you've gotta wonder how ordinary it really is. While you can probably relate to the sunny-side-up egg hanging out in a bacon hammock, it might be harder to sympathize with the ninja tamago sushi or the raw potato that is getting actively murdered. The daily life of food T-shirts come out of his success with a line of illustrations depicting superheroes' wonderfully mundane part-time jobs. Highlights include a tennis-racket-stringing Spider-Man, a shirt-ironing Iron Man, and a pizza-delivering The Flash. From there, it's just a short jump to a potato-peeling potato barber. The T-shirts and art prints are available for purchase at Flyingmouse365.com, and you can follow Flying Mouse on Instagram for more of his weird-in-the-best-way illustrations.